Sent to clean up a provincial branch of Bank of the Nation, an idealistic manager contends with ingrained forces of corruption contaminating every level of Indian society in this fervent novel of ideas. Purshottam soon learns that his main opponent is not just one co-worker at the branch, but an intertwined conspiracy of trade union officials, politicians, and even the bank’s top management. All are locked into a system where promotion is based on personal ties and favors rather than merit; Purshottam’s seemingly innocuous efforts to improve the branch’s performance and employee morale threaten their control. Purshottam and two other like-minded bank employees find themselves under increasingly vicious attack from Lal, while Trivedi, who owes his bank position to Lal’s influence, backs him up despite an uneasy conscience. When Trivedi goes over to the good guys, the plot takes a rather lurid turn, but it’s fairly plausible within the context of Jaswinder’s blistering portrait of a system that cannot tolerate dissent. Kumar, like many other characters, is improbably explicit about his philosophy of life, and the dialogue sometimes reads like an editorial against corruption. However, a strong story line and the author’s evident personal investment in his subject easily compensate for these flaws. 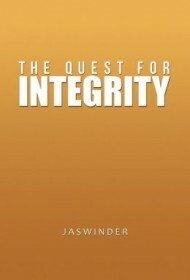 Taking aim not just at crooked individuals but at the skewed values of a world in which “name, fame, and a lot of money” are the only measures of success, Jasswinder sometimes overstates his case, but his conviction and passion will sweep readers along for a satisfying reading experience overall.